In addition to the two previous overviews here you are with review of our suspension parts list. We offer a tremendous amount of parts & brands especially for suspension uses. 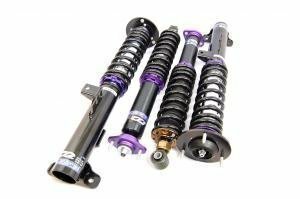 D2 coilovers and air suspension kits are quality bolt-on kits with both adjustable damping and height. D2 is the oldest coilover brand in Finland and has definitely found it's place and proven to be withstand winter conditions excellently as well. Eibach is the german suspension specialist known for what not it's lowering springs. The Pro-Kit springs along with the B12 Pro-Kit suspension kits pave the way for Eibach. Rollbars, spacers and electronic suspension controllers are also part of Eibach's range. KW is yet an other very well known German coilover brand. 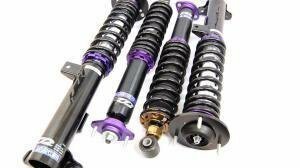 Starting from the entry-level V1 height adjustable coilovers all the way to Variant 3 coilovers with height- and 2-way damping adjustment. Kw coilovers are an excellent choice for street as well, and they also have a Street Comfort -version for extra comfy rides. 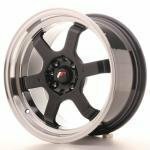 H&R is best known for super low kits and is usually the choice when customers want to go really low. H&R's biggest category of products is however the Monotube and Twintube adjustable range. 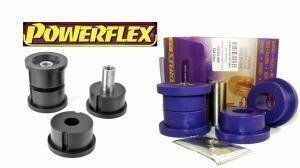 A middle priced Cup-Kit suspension kit with fixed lowering is also available in case adjustability is not what is needed. Weitec is now ST Suspension, while the actual products are still mainly the same apart from a new sticker. 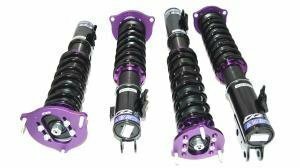 Products are available from lowering spring to coilovers just as the other German brands. The definite pro for ST Suspension is that the kits are usually in the cheaper end of the price range. ST Suspension is not listed in our shop, so please ask our sales for these kits! Bilstein is well known for their shocks, but they also make full B12 suspension kits as well as B14 and B16 coilover kits. 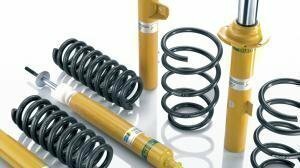 All Bilstein products are available from our sales, and we'd say we can get you a pretty decent price as well. Our own range of control arms covers most competition models like the 200sx, Skyline and Supra range. Eibach's adjustable Pro-Alignment range offers either an eccentric bolt, control arm or bush for almost all cars. The products are at the moment available from our sales. The Australian Whiteline is one huge factory with tons of suspension parts. Adjustable arms, equipped with Whiteline bushings are available for a very long list of cars. Wisefab is the choice of professional drifters. The kits completely redesign geometry eliminating ackerman steering for a next-level setup for drifting. 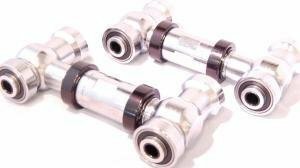 D2 endlinks are an universal adjustable solution and always in stock. 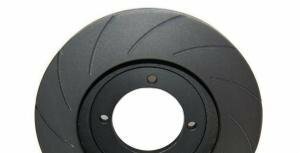 Available with M10 or M12 fittings and from 160 to over 300 mm in length. D2 adjustable camber arms cover a selection of newer cars like BMW and Mercedes models which are otherwise hard to find. H&R also makes quality sway bars. A sway bar reduces body roll, and in theory allows you to use softer springs without having too much body roll. Eibach Anti-Roll-Kit sway bar kits come as a front and rear pair accompanied with bushes. 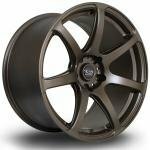 The Eibach selection is readily available in the webshop. KW sway bars are manufactured from cold formed steel and finished with - what else than the yellow powder coating. 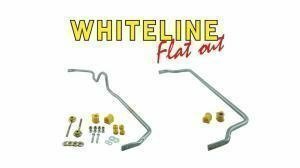 Whiteline has the widest selection of sway bars available. The bars come with sway bar mounting bushes as well, and are available in different diameres and in some cases as adjustable. Powerflex has tens of thousands of bushes, and you'd be suprised if you didnt find a bush for your car. Bushes are readily available in the webshop in street or race stiffness. 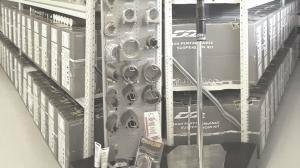 Energy suspension form the USA makes kits, and they are the ones we stock for some popular rides like the 200sx s13 and S14. A kit includes all the bushings, so there's no need to shop for each bush individually. 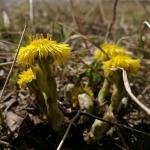 Whiteline bushes are also a very long list of products. What usually makes people happy, Whiteline also has bushes for older models which are elsewhere not very easily available.